Historians debate the precise origins of the lemon tree (Citrus x limon), but many agree it likely arose in northern India. Reports of it being grown in Italy date to about A.D. 300 and in Iran and Egypt by A.D. 700. 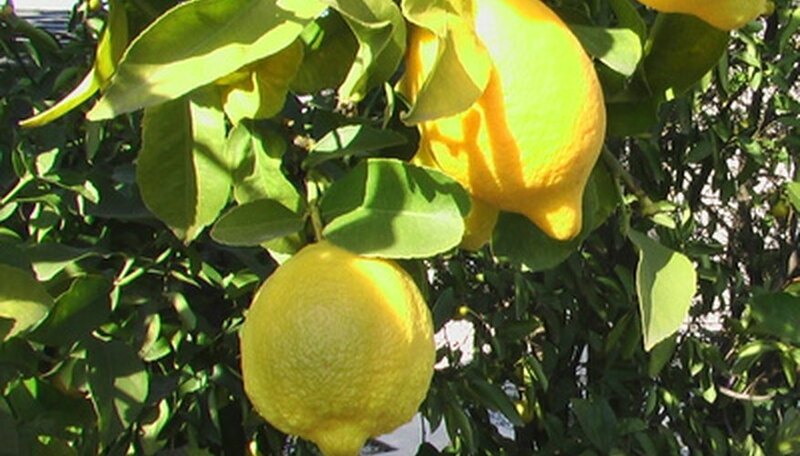 Today, the lemon grows in warm Mediterranean climates around the world where no winter frost occurs. Its broad, oval leaves persist year round and the fragrant purple-tinted white flowers occur in spring with the fruits ripening months later for harvest. Providing anchorage and a durable vascular system for uptake of water and nutrients in the soil, the root system of the lemon is the key to survival. The roots grow and develop like above-ground branches and twigs. The thin bark of the branching roots protects the water and food-storing cells. At root growing tips, no bark exists, but they look white and are lined in thousands of root hairs. The hairs increase surface area to facilitate uptake of water and nutrient molecules. The roots converge and transition to the above ground structure at the soil level, marked by a broad flare or crown at the base of the tree trunk. Emerging from the root system is the above-ground structure of the lemon tree: trunk, stems and twigs or growing tips. The trunk provides the primary structural support as well as vital vascular tissue to move the water and nutrients from the roots upwards and food such as starches and sugars, and air molecules downwards. Protected by bark, the trunk forks many times into branches or boughs until small new growth twigs terminate the structural system. The twigs bear occasional long sharp thorns. Lemon tree leaves are tapering ovals. The wide blade of the leaf is held onto the tree twig by a petiole or stem. Leaves emerge from buds on young twigs. These leaves also are considered evergreen, persisting year round, only dropping away after two to four years and being replaced with other new leaves elsewhere in the tree, mainly on branch tips. Across spring and early summer, cluster of flower develop just above the leaves on the tips of branches bathed in sunlight. The flower buds are pale purple and white and open to reveal five white petals surrounding a female-gendered pistil and many pollen-carrying stamens. After the pollen reaches the pistil, the ovary becomes fertilized soon thereafter. The fruit develops many fleshy, juice-filled compartments with seeds. At first, the fruit's skin or rind is green like the leaves, but as a fruit matures to about 3 to 4 inches in diameter, it slowly turns yellow. Fruits remain on the tree until too heavy for the small stem before dropping off. Fruits ripen across late summer and into the following winter.